Sutherland's "underworld" on the North Coast. 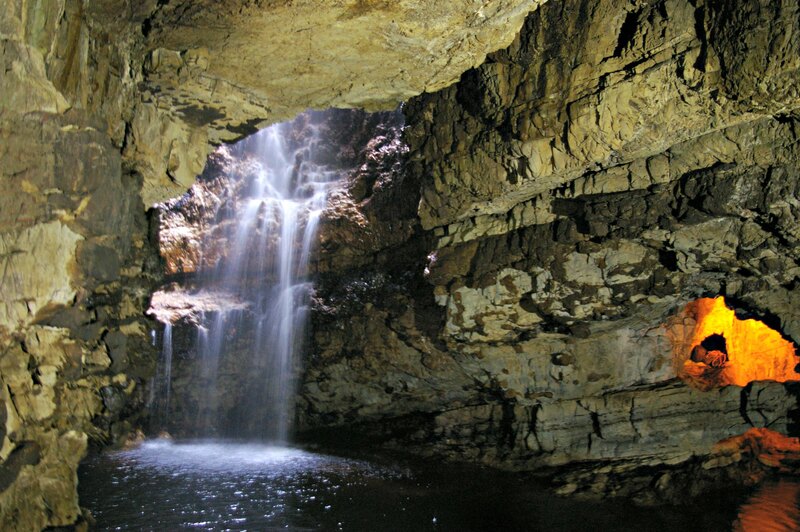 One place worth visiting up while up on the north coast is Smoo Cave, which lies just outside Durness on the A838, part of the North Coast 500 route. From the car park situated by the road, follow the path down to the large entry cavern. From here you can walk a short distance across a bridge to a second cave with a waterfall, the force of which will depend on recent rainfall. During summer months, regular boat trips are arranged into the cave system and provide an interesting and entertaining insight into the cave and its environment. We should warn you this place is only for serious chocoholics! Hot chocolate drinks I can take them or leave them, but once a Cocoa Mountain hot chocolate is consumed you will be hooked. When it arrives it is a work of art - the combination of the drink and the liquid chocolate around the cup make this an unforgettable experience. 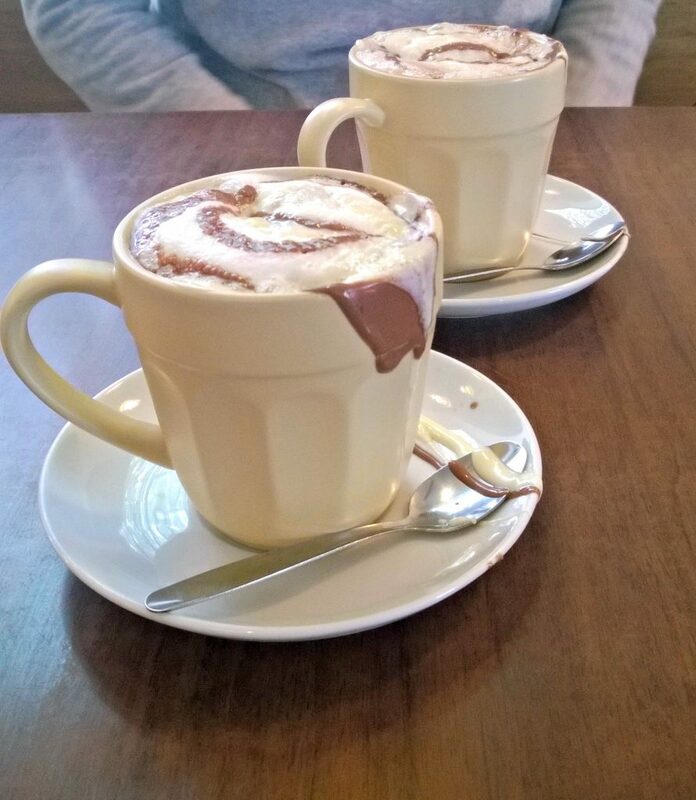 Don't be put off by the location, it's a chocoholic's paradise inside. Well worth a visit if you are on the North Coast, whatever the weather. It requires a bit of effort to get to this beach, but you will be amply rewarded when the bay comes into view. Park in the car park at the small hamlet of Blairmore and walk the well marked and well trodden path about 4 miles to Sandwood Bay. 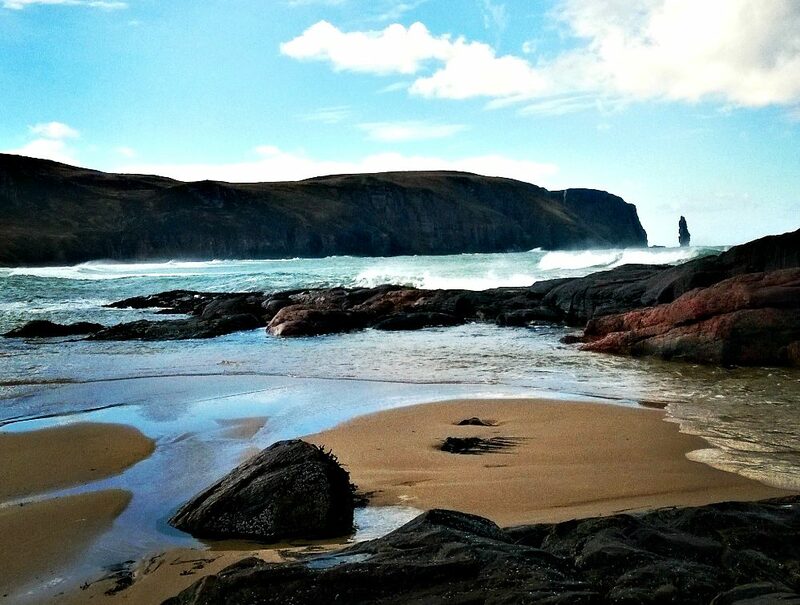 The beach itself is about 1.5 miles long and is guarded at the southern end by a sea stack called Am Buachaille. 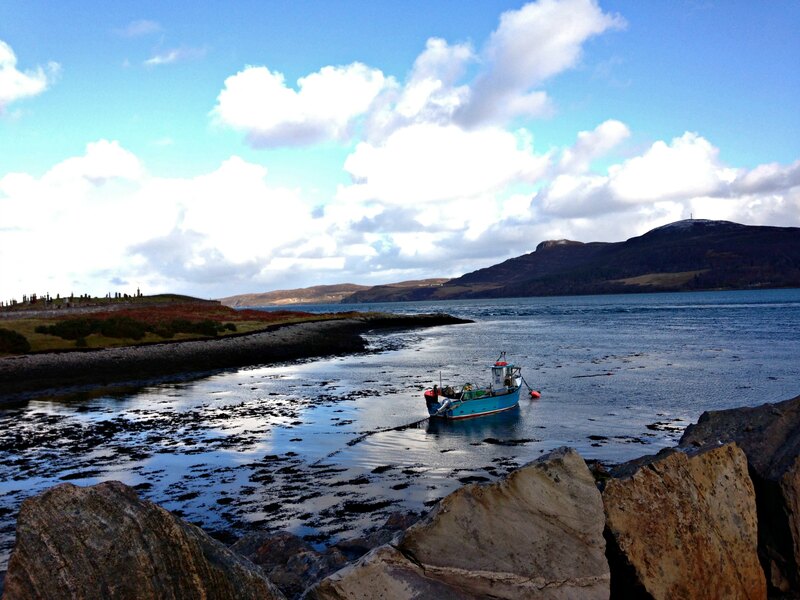 On the way enjoy the extensive views of this wild and unspoilt area passing Sandwood Loch, full of freshwater brown trout. Sandwood Bay is on the Sandwood Estate owned and manged by the John Muir Trust.